Today is May 4, which marks "Star Wars Day" for fans of the sci-fi franchise that spans four decades. Like the several lineups offered at our Los Angeles area Porsche dealership, there's Star Wars movies, shows and other kinds of media for all different kinds of people. The pre-owned Porsche options we have available here in the LA area offers up a similarly vast selection for you to choose your favorite. Our lineup of certified pre-owned Porsche models also provides many choices. Just as you might have a favorite Star Wars movie – do you love the classics, or do you prefer the brand-new offerings? Don't tell us you like the prequels… – you'll find your favorite kind of pre-owned Porsche, whether it's a certified option or one of the many others. We'll help you choose your next favorite. Each and every day seems to be something specials, so make your daily travels amazing with one of our great pre-owned Porsche editions. 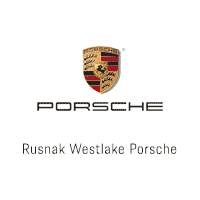 Come on over to Rusnak/Westlake Porsche today to get started.